Hand picked deals, best coupons, daily deals, freebies , coupon matchups, printable coupons to save. 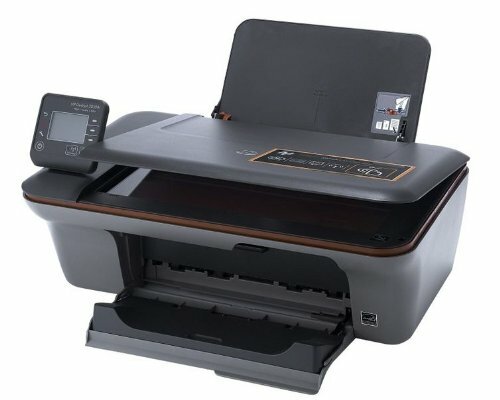 HP Deskjet 3055A e All-In-One Printer for £44.59 from Amazon UK and save £15.40. Use HP ePrint mobile printing—if you can e-mail it, you can print it. Easily print, scan and copy everyday documents from an intuitive, 5 cm mono display. Get a dependable e-all-in-one that powers up in less than five seconds and shuts down instantly. Ideal for home users who want an affordable way to print and share wirelessly from an e-all-in-one that offers convenient HP ePrint mobile printing and outstanding reliability. We verify the accuracy of each and every offer before posting. But the offer can change at merchant's site at any time. We have no control on merchant's pricing, offers, promotions, coupons and rebates etc. Please verify the offer at merchant's site before participating in any offer. If you find any mismatch, please inform us. Please note that Glossydeals.com does not sell anything. We just provide free information for the best available online deals to help you make a better decision. All prices and product availability are subject to change at vendor's discretion. This site contain links to third party web sites. Glossydeals.com neither endorses nor guarantees any offerings from third party providers and is not liable for the failure of their products and services. All brand names, product names, logos, images or trademarks belong to their respective holders.